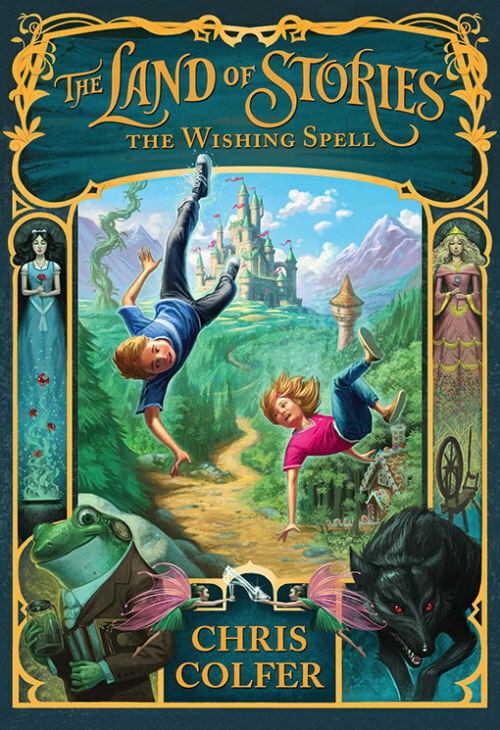 Described as a “modern-day fairy tale,” the book will focus on twins Alex and Conner, who leave the real world behind and find themselves in a land where they come face-to-face with the fairy-tale characters — witches, goblins, trolls — they’ve always read about. Colfer says the book’s illustrator “made every detail come to life. He went above and beyond the crayon and colored pencil drawings I used to make of it as a kid.” Check out the very first peek at the cover of The Land of Stories! The release date was also moved up to July 17th, 2012.